Good location, close to the highway, restaurants, 13 km to casino rama. The Best Western however does not have a free breakfast but does have its own restaurant. Lots of parking, but the lot could use brighter lights, especially at the back entrance. The only issue with the room was it smelled musty and the walls are paper thin. Where to find Georgina hotels near an airport? Where can I find hotels in Georgina that are near tourist attractions? Visiting Southern Ontario? Would you prefer to book a hotel within a short drive from the downtown part of Georgina? Within easy driving distance of its central area, you'll find 2 Expedia-listed hotels and apartments. 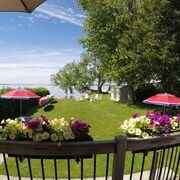 Within driving distance of Georgina, are the Gypsy by the Lake B & B and Eider's Down Bed and Breakfast. 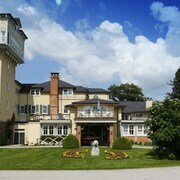 The Horseshoe Resort is 35 kilometres (21 miles) from downtown Georgina. Another hotel is the Carriage Ridge Resort at Horseshoe Valley, which is located 35 kilometres (21 miles) away. Another option is to book a bed at the Holiday Inn Express Hotel & Suites Barrie or the Holiday Inn Express Suites Newmarket. Like to venture a bit further afield? Southern Ontario has many things to see. 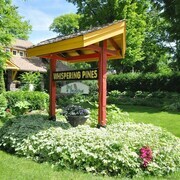 Check out Southern Ontario's traditional villages. Those with a hankering for wide open spaces and fresh air should also take the time to enjoy its beaches, coastal plains and forests. Fun-loving travelers may try their hand at skiing, cross-country skiing and snow shoeing in this part of Canada. Looking for more things to do? Spend some time discovering CN Tower and University of Toronto, which you'll find in Toronto, 70 kilometres (44 miles) to the south of Georgina. The The Ritz-Carlton, Toronto and Four Seasons Hotel Toronto are some of the Expedia-listed apartment and hotel options in Toronto. Alternatively, you could consider staying at Downtown Toronto, 70 kilometres (43 miles) to the south of Georgina, where you can pick from the The Hazelton Hotel Toronto and Windsor Arms Hotel. If you're staying in Downtown Toronto, be sure to visit the Church of the Holy Trinity and Mackenzie House. If sport is your passion, be sure to visit Air Canada Centre, which is 70 kilometres (44 miles) to the south of Georgina. Book a hotel nearby to the action at the Shangri-la hotel Toronto or the Trump International Hotel & Tower Toronto. Pearson International Airport is situated 70 kilometres (42 miles) from Georgina. If you choose to stay close by, can easily secure a night at the Sheraton Gateway Hotel In Toronto International Airport or Residence Inn by Marriott Toronto Airport. What are the most popular Georgina hotels? Are there hotels in other cities near Georgina? 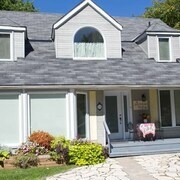 What other types of accommodations are available in Georgina? 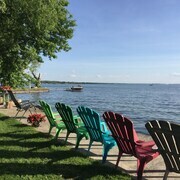 Explore Georgina with Expedia.ca’s Travel Guides to find the best flights, cars, holiday packages and more!